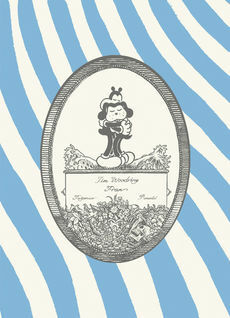 Fran completes for the moment the publication of the series dedicated to the most celebrated character of Jim Woodring. The book comprises Congress of Beasts (Special Jury Prize at the Angoulême Festival) and Fran, which has been published in the U.S. alongside this edition. The diptych formed by these two graphic novels has been devised by the author to be read in interchangeable order, thus forming a single story that adds new dimensions to the iconic character whose life he's been feeding for more than twenty years.